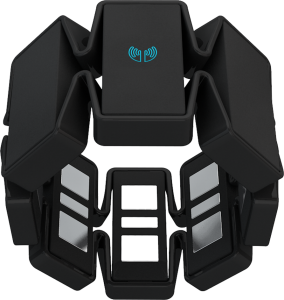 Thalmic labs has made something very nice, the Myo armband. I think they have been watching the movie Minority report. With the My armband you can control your computer, smartphone, Raspberry Pi and Parrot ARDrone. It works by sensing the electric impulses from the muscles of your arm. Also it has inertial sensors (rotation, accelleration) and a magnetometer. All combined it resuls into realtime input data. I was lucky that a co-worker had pre-ordered the device so I had the chance to play with it. Together with Jessica I am working on her thesis project and for that we use Processing. The project got a headstart because there was already a processing library to interface the Myo with Processing. 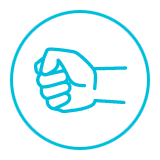 Default it understands a couple of gestures, but it is also possible to tailor make your own gestures. With the latest version you can even access the raw data from the armband. EMG data comes separate from the other sensors. For the EMG data you get a higher update frequency than the other sensors (Acceleration, Gyro). 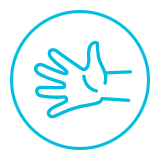 It is not possible to detect the movement of separate fingers, there are not enough sensor pads available to do that. 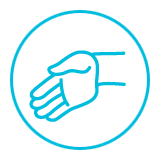 Around the arm there are 8 sensors, roughly divided into 4 for the flexor muscles and 4 for the extensor muscles. When wearing the armband for a longer time, it kinda gets unconfortable. It is not exactly meant for all-day usage but for a presentation it is great. 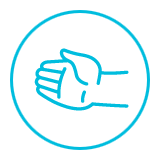 According to the instructions I wear the device on the thickest place of the arm, but it also works when placing it closer to the hand. When removing the band after a long time, it has left a visible impression on the arm. I do have to admit it is much more confortable than the old fashioned stickers with separate cables. When you use the stickers very often on the same spot, the skin gets soar. 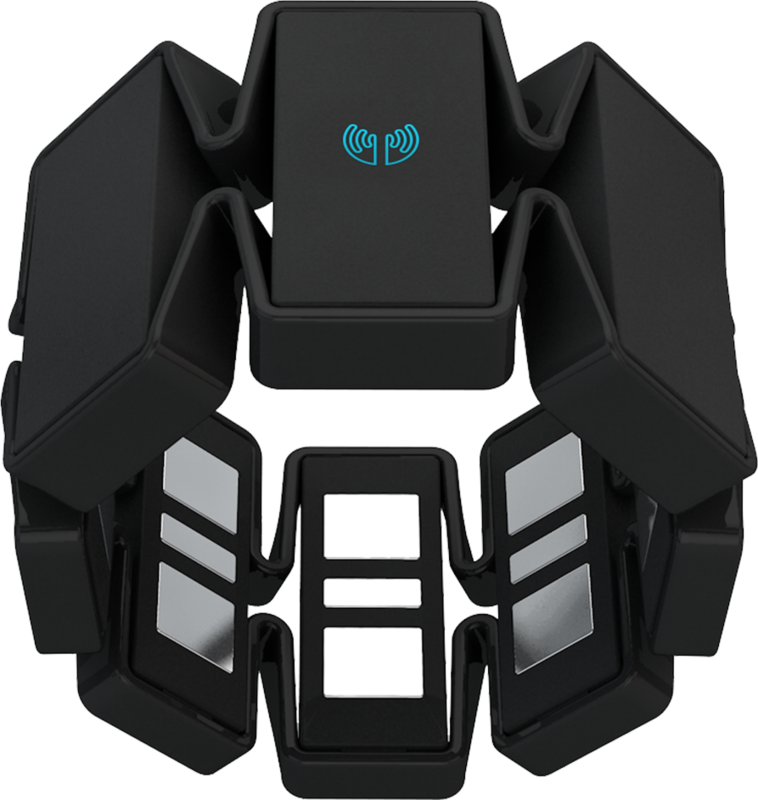 When fully charged the Myo will last a full day. It uses Bluetooth low energy to communicate. With the package you also receive a Bluetooth USB dongle. You can conseal the armband under a shirt so nobody sees you are wearing it. 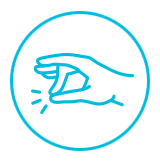 You can trick your co-workers to believe you have mental powers (which I tried). Now that was fun, I made a script to let something apear on the screen. Some of them were really confused to see that I had those kind of powers. A nice movie to see is the cooperation with Armin van Buuren. He used the Myo to control the lighting during his performance.